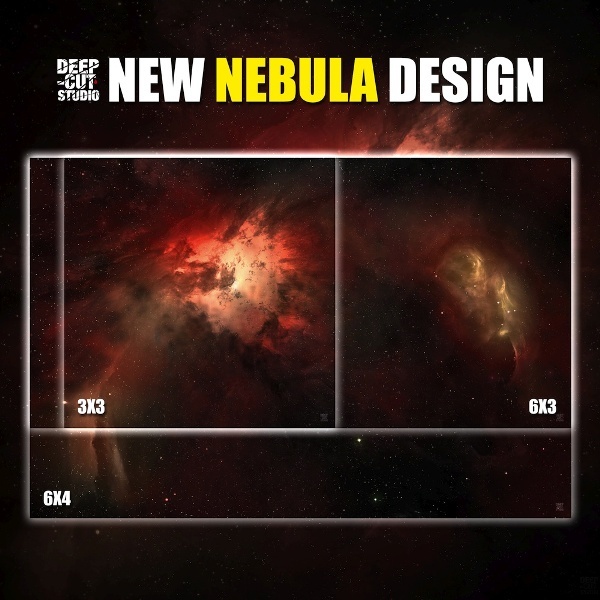 Home Gaming News New Cosmic Game Mats from Deep-Cut Studio! New Cosmic Game Mats from Deep-Cut Studio! New game mat release! Following the previously released Dunes Planet cosmic playmat, the new Nebula is the latest addition to the series. Heavily inspired by actual Hubble photos, the design is a great blend of artist imagination and extraterrestrial reality. Available in all the sizes and all the game mat materials you need, fully customizable with hexes or grids. Check it out at our gallery at www.deepcutstudio.com – the home of game mats.